If you've read any of my posts about Click Convert Sell you'll be familiar with the founder, Aalok Shukla, who has also launched a site The 3 Day Practice to help dentists work less and live more. The transition from university to practice has been a tricky one as I'm sure most young dentists will agree. In today's environment of litigation, increased regulation and increasing patient expectations settling into a practising career can be a bit of a challenge! 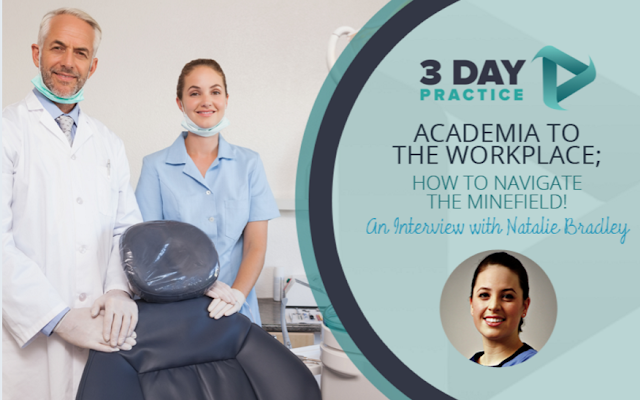 After 5 years of studying there is so much more to learn that patients will ask you about: tooth whitening, smile make-overs, short term orthodontics. It can be tempting to jump in feet first and go on course after course - I certainly felt that that a few months ago. Aalok kindly asked to interview me on my views on this transition and how to navigate the minefield! Thanks Aalok for the opportunity and please feel free to comment and share your experiences as young dentists! To read to full article, see The 3 Day Practice website here.